Magic novelty from MainamaGames! Do not hesitate, we prepared something special for you. 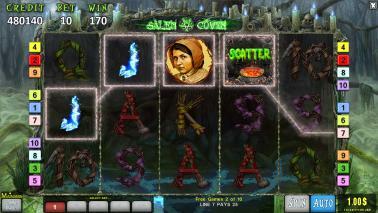 Salem Coven - this video slot is soaked in magic. The new game is fascinating at first sight, and excellent musical arrangement and visualization create a truly enchanting atmosphere. The game has 5 reels. Payments are made in three or more identical symbols, dropped in a row on one of the 10 paylines. The cauldron is the wild, that is a symbol that substitutes for any other symbol in a winning combination. 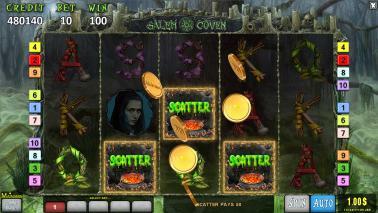 In addition, the magic cauldron is also a scatter! As a reward for three or more scatters that drop at the same time, you get 10 free spins. 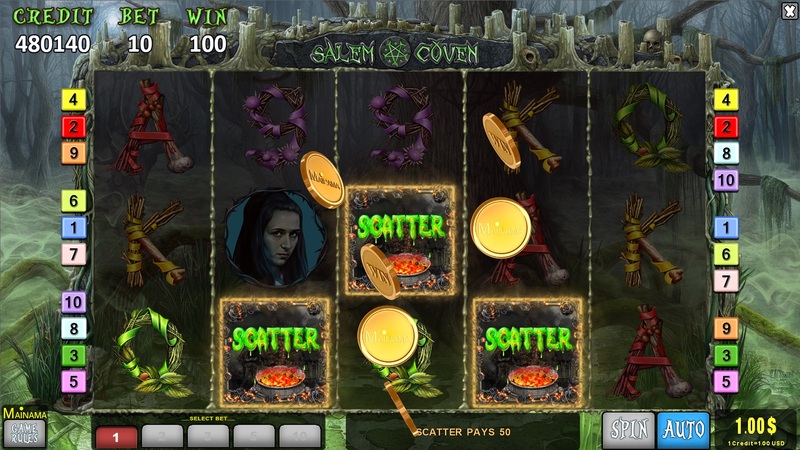 First, all the winning combinations are considered , and then a bonus game is launched. And the miracles do not stop! 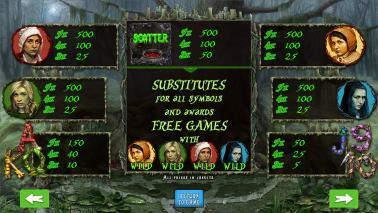 During the bonus game the cauldron isn't the only wild. 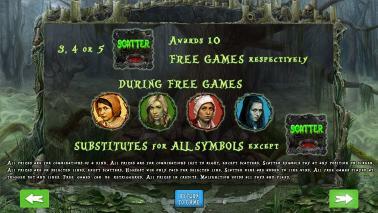 The ability to substitute other symbols is possessed by all 4 witch symbols! 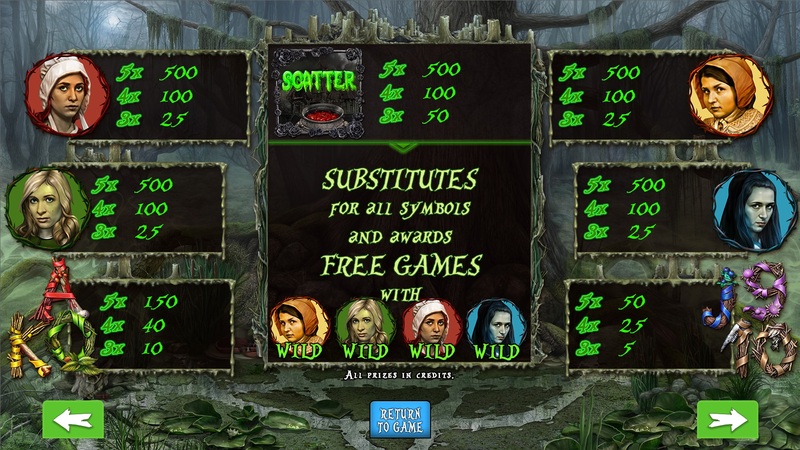 This means that there would be even more prizes ... Just imagine: 10 free spins with 5 wilds at once! In addition, you can win another bonus game inside the first one. Witchs are hiding treasure away from prying eyes ... Can you find them? 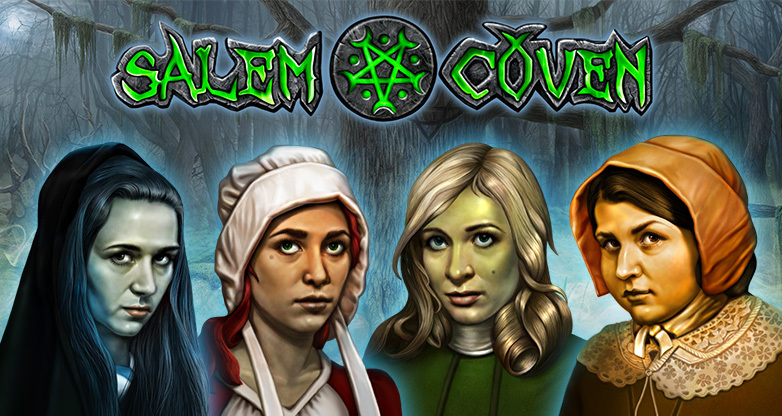 Play Salem Coven and find out!